Every time I publish a new recipe, it’s my new favorite recipe. Honestly. 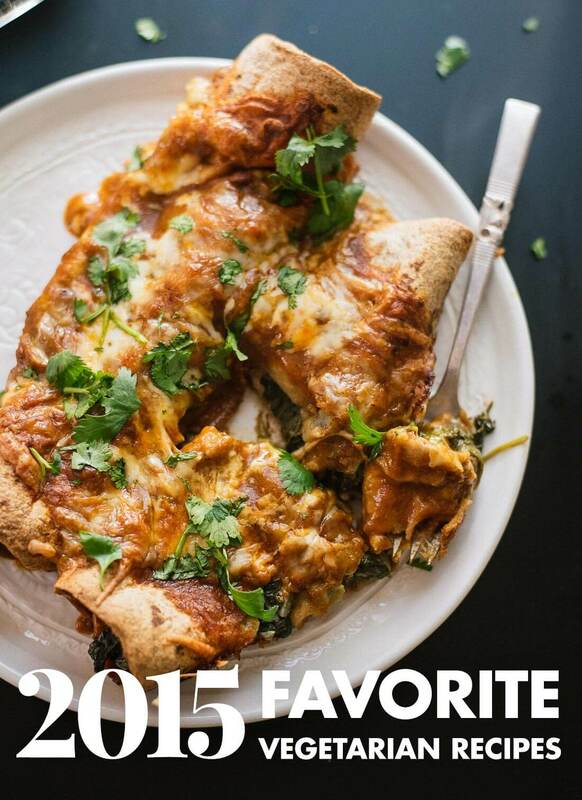 I love them all, so it wasn’t easy to pick out my favorite recipes of the year. Below, you’ll find ten recipes that have gotten great feedback from you guys and deserve a little extra attention. Which recipe was your favorite? While we’re at it, what have you been craving lately? What would you like to see more of on Cookie and Kate? Specific recipe ideas and more general requests are most welcome! Twenty fifteen was a great year for Cookie and Kate, and I’m eager to come up with fresh recipes for you next year. I don’t have any new ones for you this week because I’ve been typing up pages upon pages for our upcoming cookbook. I can’t wait to share them with you! Click through to see my favorites. 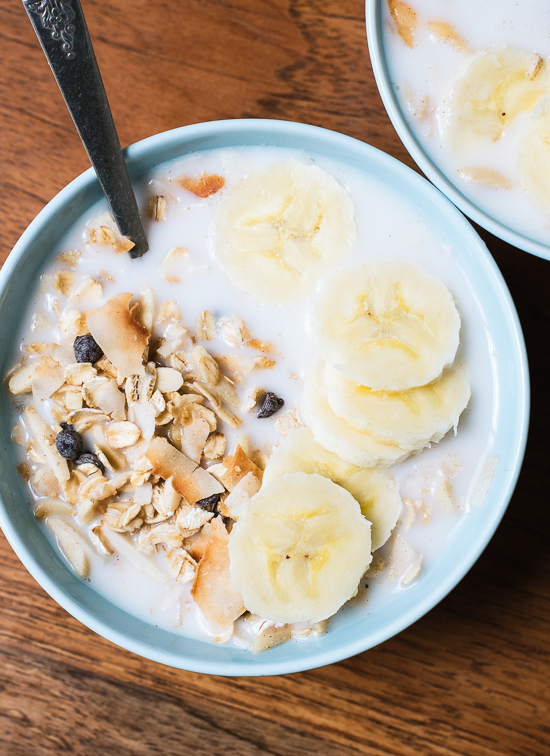 More resources you might appreciate: 13 healthy make-ahead breakfast recipes, 16 recipes that pack well for lunch and 14 simple weeknight dinners. You might also like my monthly seasonal produce guides and healthy kitchen essentials. View all roundups and resource posts here. Kate seriously these are all mouthwatering. im in love with that enchilada and lasagna photo. Like you, every new recipe you bring out is my new favorite. If I had to choose one right now, and I’m going by extended non-vegetarian family who’ve all asked for a copy of the recipe, it’s your chili. 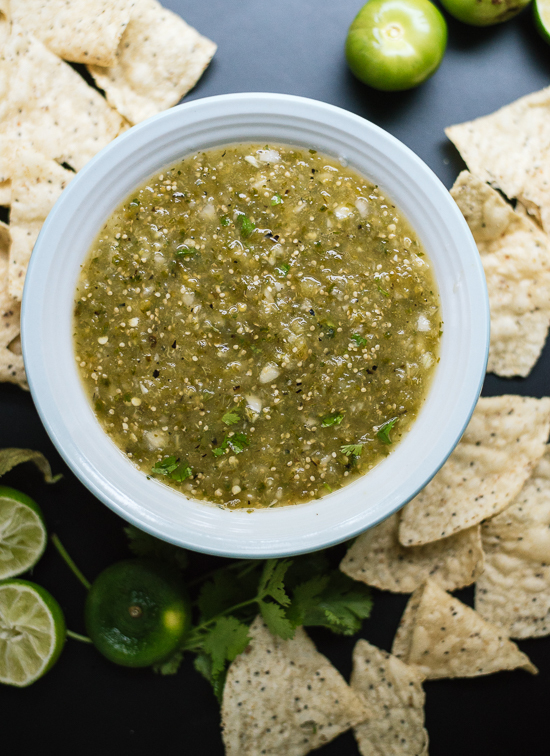 It’s super quick to make and everyone is blown away by the taste. In fact, I’m bringing this to a pot luck New Year’s Eve party. Thanks for ALL your phenomenal recipes, Kate. Hoping your New Year’s Eve is great. Those all SO good. 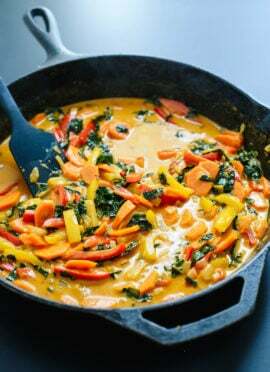 Especially the curry, I even have the ingredients at home so I must be meant to make it! Thanks for sharing such delicious, healthy recipes :) You rock Kate! Thank you, Odessa! Happy New Year! Thank you, Liz, for your support! I really appreciate it. Happy New Year! Those spaghetti squash burrito bowls were definitely one of my faves from this year! 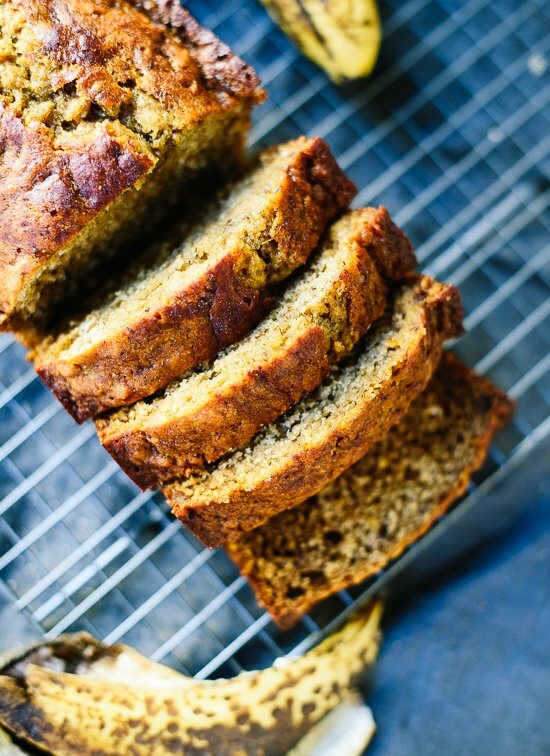 I am looking forward to trying the healthy banana bread recipe and plan to do so this week. Thanks Kate and Happy New Year! Thank you, Jessie, and Happy New Year! Well, I definitely made 9 out of 10 of those recipes this past year. You’ve nicely wrapped up the dinner I’ve been eating for the last 12 months into one little delicious package! That is so great! Thank you for cooking along with me, Claire. Happy New Year! 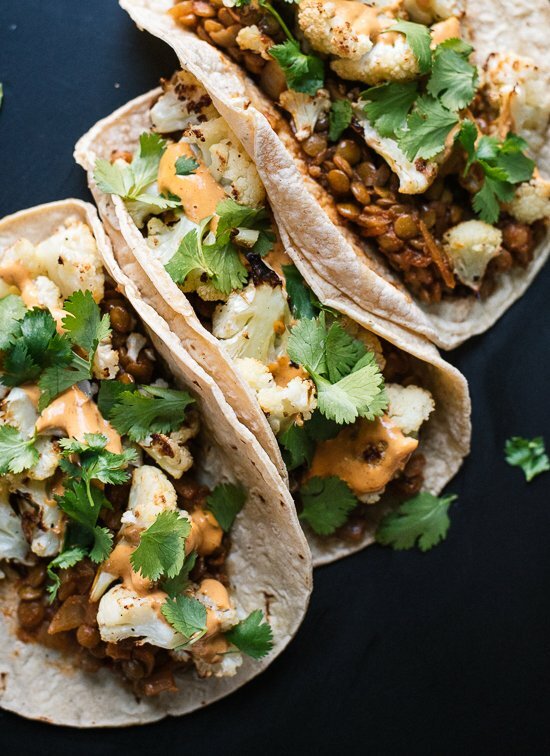 Definitely need to make those cauliflower & lentil tacos soon – two of my favorite things! Hope you love those tacos, Emilie! 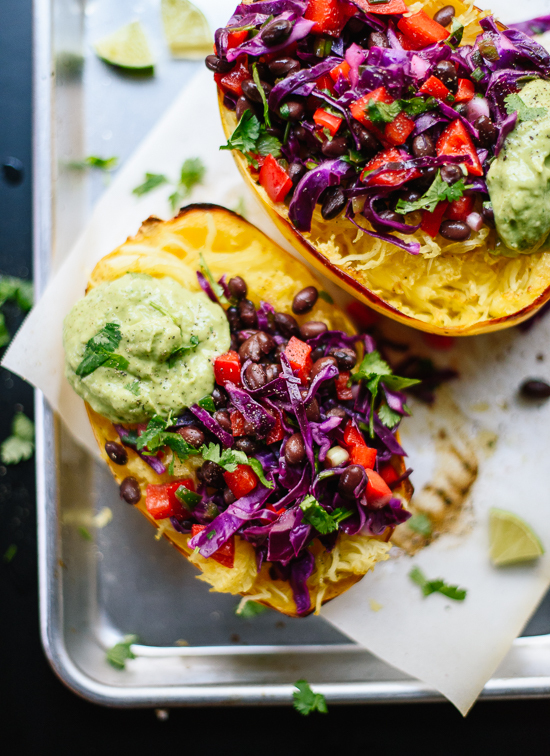 Spaghetti Squash Burrito Bowls are calling my name! 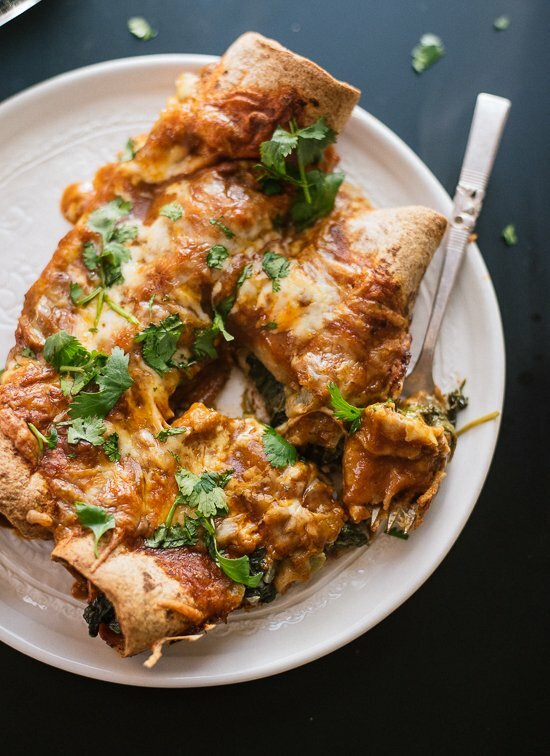 Great round-up of recipes….especially loving the enchiladas!!! Happy New Year, Kate (and Cookie)! Thank you, Deborah! Happy New Year! 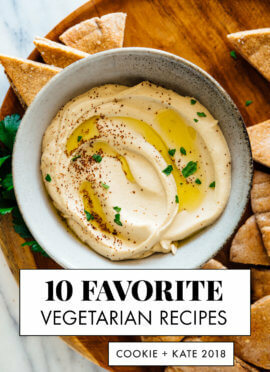 Love the top 10 recipes. 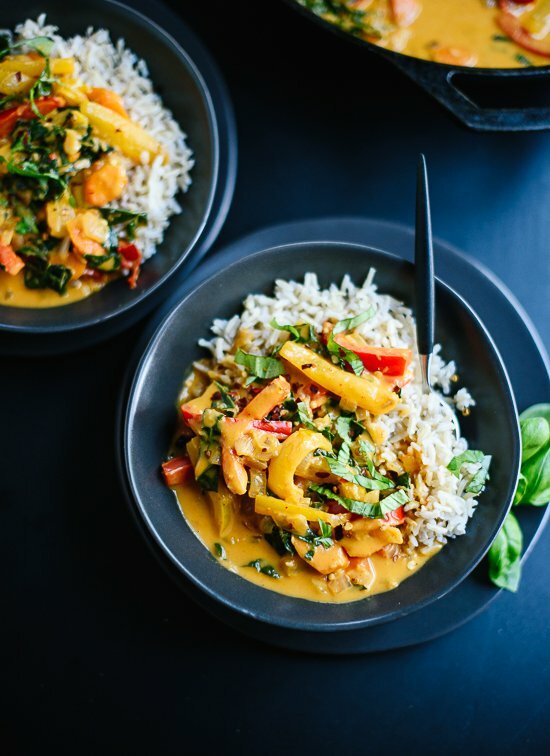 I wanna try out your Thai Red Curry, looks so good. Beware – you will become addicted! Oh, I love shishito peppers! I’ve been hesitant to use them in recipes because they’re not widely available, but now they’re at Trader Joe’s, so maybe I can come up with something! Thanks for the idea, Margot. 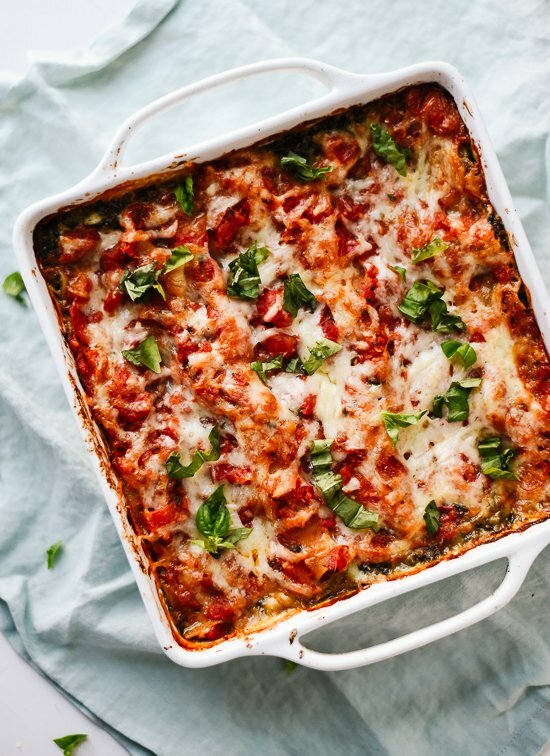 So many yummy recipes to love! I think if I had to pick just one I’d have to go with the enchiladas first thing but they all look insanely delish! I enjoyed three of your recipes on Xmas- the rainbow carrots with creme fraiche (I put em’ on a bed of quinoa and lentils to keep it GF, worked out great), the pear crisp (w apples too) and the cinnamon whiskey sour (my husband added a hint of cayenne to his and that was quite good too). I’ve tried a few of your recipes- all great! The one that got the most compliments ever was the honey mustard brussels slaw. I made mine with half brussels, half kale. 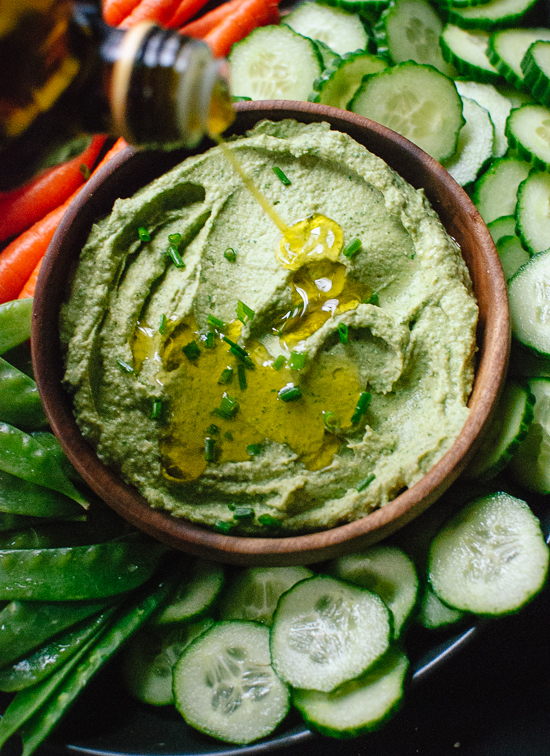 I also ran the dressing in the vitamix, which made it extra creamy… I brought that to parties 3 times last summer and always got requests for the recipe! Wow, three C+K recipes on Christmas! So awesome. I’m glad you’ve been enjoying them. 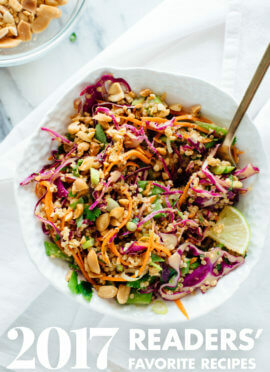 Your slaw sounds perfect! 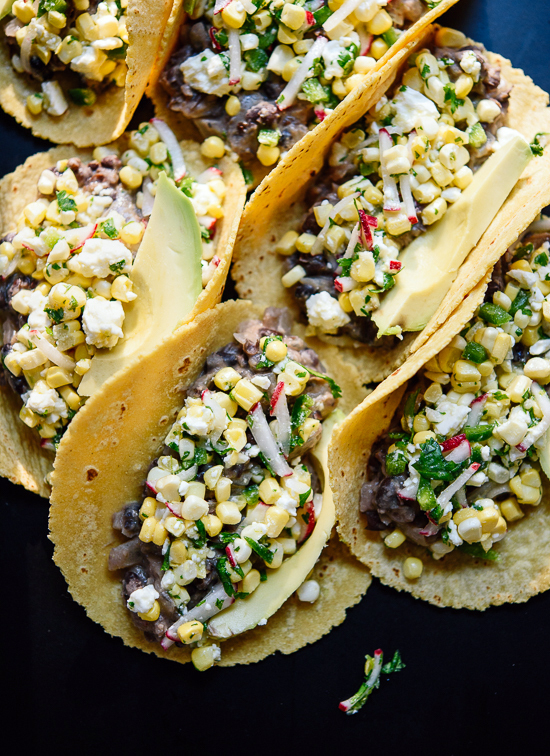 I absolutely loved those black bean and corn tacos as well! I made them a few times, and I’m happy to be reminded of them. Soo fresh and yummy! Thank you Kate, being a vegetarian for me meant eating the same things over and over again since I did not know anything different I could make for myself. I tried some of the recipes and so far I am so pleased with myself and the delicious food I get to it now.